Click individual locations to view hours. 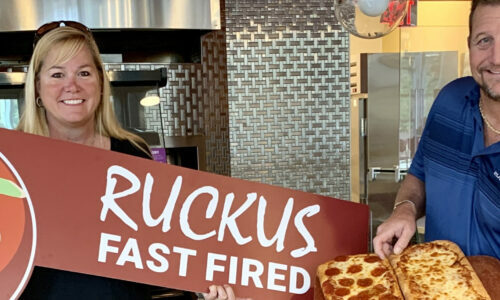 Red Sky is located on the main level of Talley Student Union in the Pavilions Food Court and bakes its New York-style pizza with house-made dough in a fire-deck oven. This location offers pizza by the slice, whole pizzas, fresh salads and cannolis. 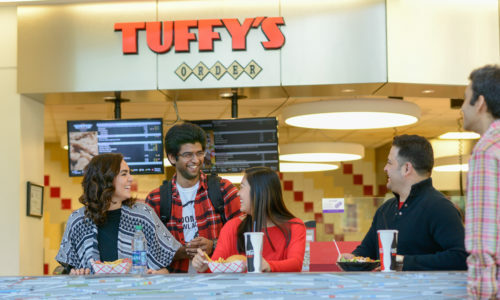 Los Lobos is located on the main level of Talley Student Union in the Pavilions Food Court and serves made-to-order tacos, burritos and quesadillas using house-smoked meats. You can also pass up the tortilla and turn your creation into a savory burrito bowl or taco salad. Sides include chili-lime rice, black beans, house-made chips, salsa, guacamole, and queso. 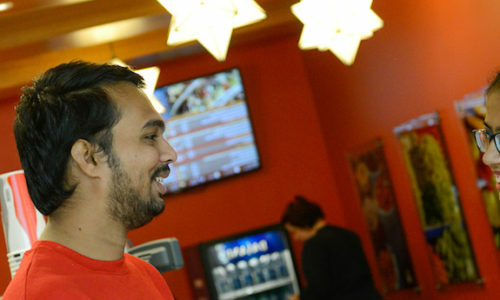 Tuffy’s Diner offers traditional diner fare with Wolfpack flair. This location serves biscuits, house-made waffles and pancakes for breakfast, along with burgers, grilled chicken, house-smoked bbq sandwiches, chicken tenders, fries, and tater tots for lunch and dinner.